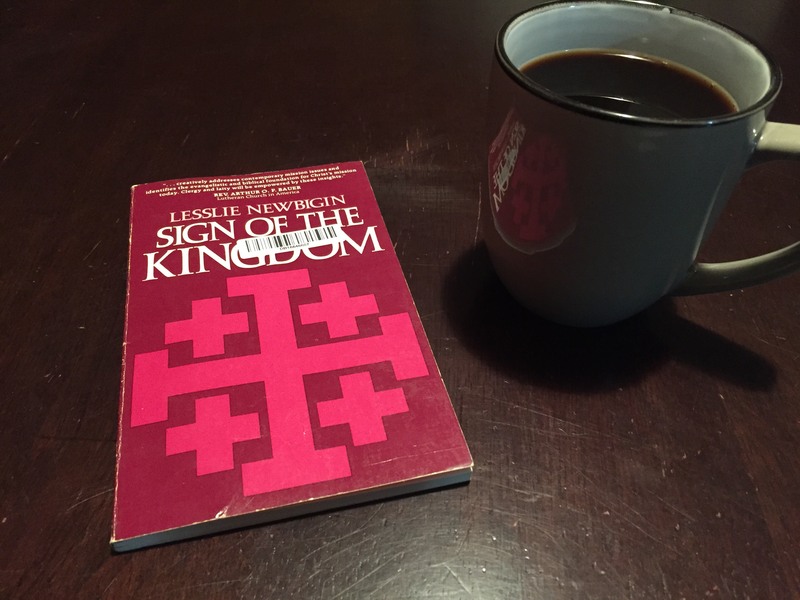 I picked up a used copy of Lesslie Newbigin’s 1981 book Sign of the Kingdom. To my delight, the last owner filled the pages with underlining, arrows, and comments like “Critical”, “Good point”, and—in one place—“Foils of Marxism”. It’s hard to believe this is from 1981! Reading the first point, my thoughts were drawn to the struggle between the growing number of Christians embracing a more Anabaptist-type attitude towards Christian engagement with the political system, vs those Christians who so align with a particular political party that they seem willing to support it no matter how anti-Christ the values espoused. The second is equally easy to see today: under ‘people’s participation’ I think of the movement represented in the USA by Bernie Sanders and his supporters (myself included, as the good millennial that I am), vs again, the more authoritarian leadership we see on the Right (not just in the USA, of course). From the response of some to the early appointments made by Trump, for example, its not hard to find the authoritarian longing attitude which says, “They’re billionaires, therefore they must know best. I’ll leave it to them”, ie: let the real grown-ups handle this. On the third, of course, today we have the rise of ISIS and corresponding fear in the West, some even afraid of those fleeing the violence themselves! But, thankfully, with increased welcome to refugees comes increased opportunities for us in the West to share the gospel with these (often Muslim) newcomers, and there, I think, is where we will benefit most from Newbigin’s insights. Sign of the Kingdom has only three chapters: The Kingdom, “In Historical Perspective”; “In Biblical Perspective”; and “In Perspective of Today’s Mission”. I am hoping to write my thoughts on each chapter as I work through it. However I can’t say how long it will take to post up each part, so please bear with me. So with this, I welcome you to the book.